View9 has been building responsive websites since they first became mainstream early in 2011, This makes us one of the most experienced developers of responsive web design in Brisbane. 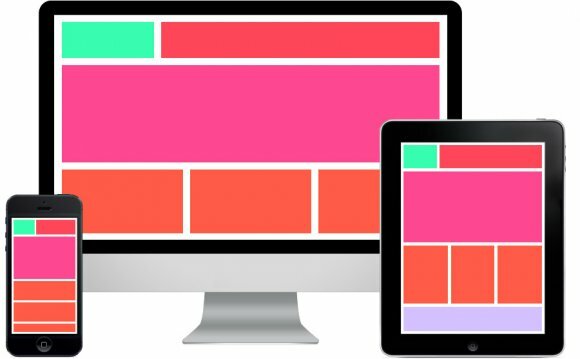 What is Responsive Web Design and why should i care? Responsive web design is a web design that is built to have fluid elements that increase or reduce in size to provide the best possible user experience on any size screen (phones, tablets, PCs and televisions). It is important to consider where your users are coming from and how they will access your website. For instance, if you were to promote your website on facebook, which has a monthly active user base of close to 1 billion users, and 70% of those users access facebook using a mobile device, you might want to offer a mobile optimised website featuring a responsive design. Why responsive and not 3 fixed sizes? By offering a responsive web design to your visitors, you have effectively covered every size of screen, past and present. For example, the iPhone first started at 3.5" screens, then 4" and now 4.7" and 5.5", with the iPad mini at 7" and iPad at 9", who knows what sizes will come out next year? A responsive web design is the best way to extend the life of your website and ensure that you get the best conversion rates possible. View9 was recently featured as one of the top 10 best Australian websites on 2 web design inspiration websites - one of them is a web design inspiration site based in china! If you want the best, we can deliver. Get in touch today. View9 builds custom designed responsive websites on Drupal, this provides you with a highly secure, customised content management system which is tailored to your brand and requirements. Feel free to try out our website by shrinking the window width, to see how it responds in your web browser, it will give a better idea on how responsive web design works. If you think responsive web design is what you need, lets start a project!